Just came across the following solution to solve the common SharePoint 2010 Silverlight web parts (Org Browser and Media Web parts) Arabic display issue. Very important to backup the 2 files first, just in case. Make sure that you clear the browser cache. 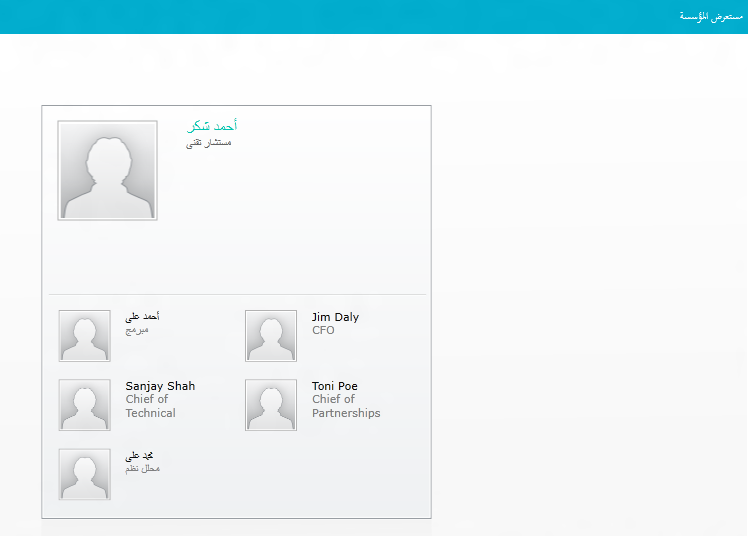 Enjoy your organization browser in Arabic. The idea beyond the solution is to force the Silverlight runtime to the newest version which has the proper RTL support. Please, try this and submit your feedback. Thanks a lot Hamza, you are welcome any time. That you for this solution. Do you know how to implement this solution in sharepoint 2010 Decomposition Tree?